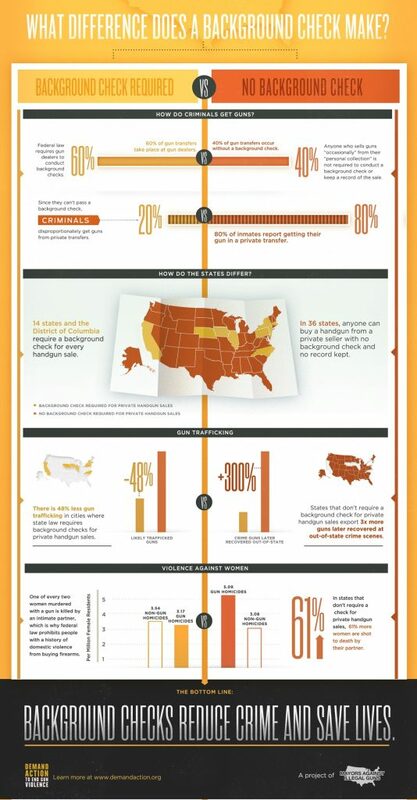 Demandaction.org has teamed up with designer Kelli Anderson to produce three amazing infographics about three major issues involving gun laws in the U.S. Click the images to see the full product. 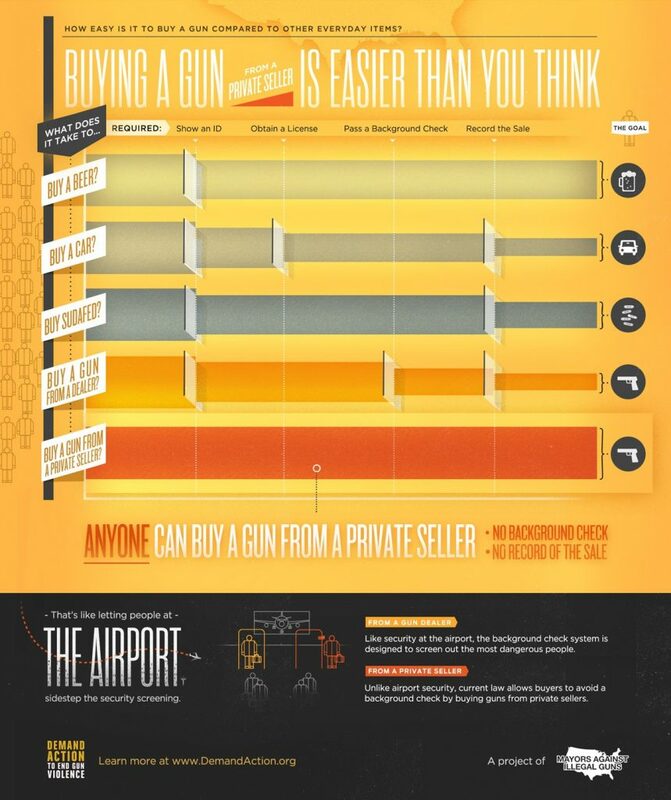 The first deals with how EASY it is to buy a gun. 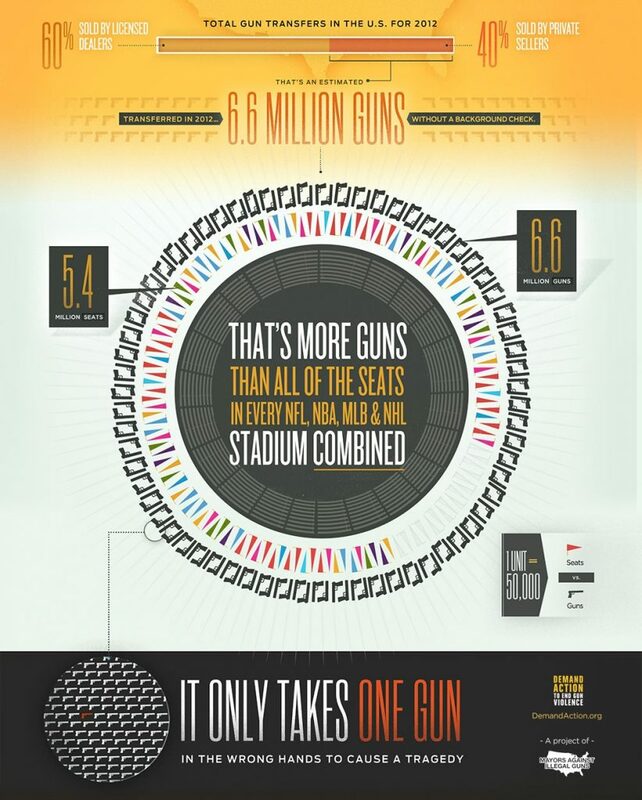 The second with how many guns are sold in the U.S. without a background check. In fact, there are only 14 states/districts that mandate background checks on all sales. The final graphic demonstrates how effective those background checks are in those states compared to the rest of the country. It demonstrates, quite effectively that background checks radically change the outcome of violence. 99+ % of all Americans are law abiding citizens. Stop trying to infringe on my rights. Any plan to get private individuals to perform background checks? I’ve heard lots of complaints but no practical plans to fix the problem.